Last week my colleague Martin wrote an excellent post suggesting that Apple was becoming a post-digital company. And I agreed with him. But when I passed the queue you see above at my local Apple Store, where people were waiting patiently - if excitedly - to buy the new iPad that released today, I began to question the timing in the piece, if not the general thrust of his argument. The iPad is a step on the path to post-digital, I agree. As a device, it can "disappear" in use, allowing you to just focus on the task in hand. But it is still, in of itself, exciting. People want to own them, and they want to own them enough to queue for them on a chilly March morning in Brighton. It's still a remarkable device, one that people take note of each time it changes a generation. To my mind, it will only really become part of a post-digital world when people stop taking such notice of each iteration. 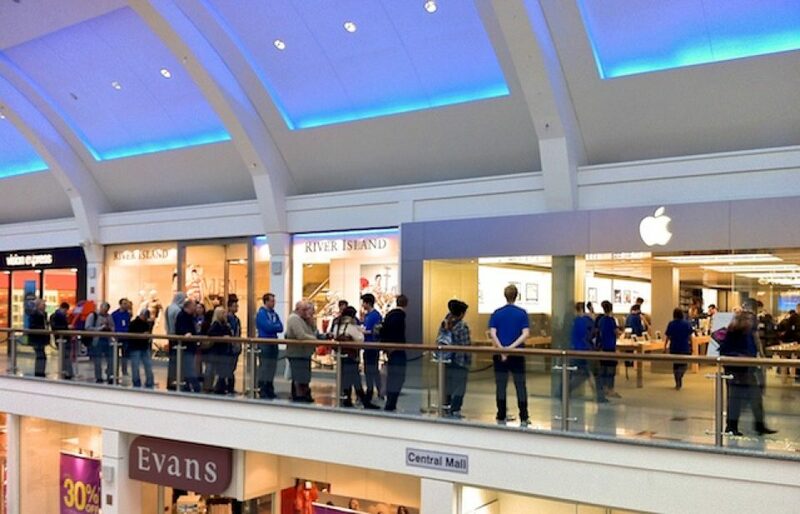 When did people last queue up outside an Apple Store for the new MacBook? Or the new iteration of the iPod? They don't. These are still incredibly useful, well-designed devices, but they're just part of people's lives now, not something whose launch is important and newsworthy. So, I agree with Martin's general thesis: that Apple, of all companies, is the closest to producing devices that are completely post-digital, whose very "computerness" is subsumed by the task in hand. But they're not quite there yet. When the excitement passes, when new hardware no longer prompts queues, when people only truly care about what they're doing on the iPad - then we can declare Apple a maker of post-digital devices. It'll be interesting to see what balance of devices we see in use at NEXT in May. There were many iPads in use amongst attendees and speakers, but laptops were still more dominant. But over the last few months I've attended several conference where it has been, essentially, wall-to-wall iPads. I suspect the post-digital conference will be a good benchmark of exactly how post-digital the iPad has become.